Interested in Labor and Industries Law in WA state? If you are interested in labor law in Washington state and want to keep abreast of latest developments in this area, be sure to check out: Washington Workers' Compensation Law Blog. This blog is maintained by Sharpe Law Firm, a Seattle based firm which has been representing clients in this area of law for 30 years. Hat tip to Inter Alia - Tom Mighell's legal technology blog. This animated video offers some research tips for international law, coming from a law student who is bummed about her task but manages to remember some of the things the librarian told her. (One bit of advice: talk to a librarian, but not the crabby one.) Caution: some rude language. The ABA Journal asked thirty lawyers "to pick a book they’d recommend to other lawyers—a book they might not have already read or may have overlooked or might not know." The resulting article is here. To make it easier to find these books in libraries, I've created a WorldCat list here. If you haven't already, take a look at UW Law's Suggested Reading List for Prospective & Current Law Students. It includes a wide variety of books. Attorney Larry Bodine explains why he's keen on Google's new social networking service, Google+: Adios, Facebook and Twitter ... Hello, Google+, Law Technology News, July 29, 2011. Is Google+ the next big thing? If you're biting your nails about the upcoming Washington State bar exam, you can take some consolation that it's not as daunting as Japan's. In recent years, Japan has reformed legal education, with the goal of enlarging and diversifying the legal profession. But the bar exam turns out to be harder than some planned: the overall pass rate is just 25%. Enrollment in the new US-style law schools has declined as word has spread that becoming a lawyer is a long shot. A Japanese Legal Exam That Sets the Bar High - NYTimes.com, July 10, 2011. You've probably heard that networking is important for your professional development, but a lot of people find that it's hard to get out there and do it. If you're one, see Michael Goodwin, Networking tips for the “shy” lawyer, Minn. Lawyer, July 18, 2011, linking to an ABA Journal podcast, Shy Lawyer's Guide to Becoming a Rainmaker, July 11, 2011 (you can listen to it or read the transcript). If you love to network, but hate to research, maybe you could try thinking of research as networking . . .
What's Your Student Loan Experience? My Debt Story is a project to collect the personal stories of college students and graduates about their debt. It is hosted by EARN (a nonprofit provider of financial services for low-income families), with sponsorship by Default: The Student Loan Documentary, Demos, Equal Justice Works, and Broad Cause. You can submit a video about your own debt story to the site. If you do it by July 31, your video will be entered in a contest. The prize? $5,000 toward paying off your student loans! FindLaw, a Thomson Reuters business, has an extensive, free collection of "up to date online legal information about popular legal topics such as will preparation, divorce and child custody" in its "Learn About the Law" section. The site also provides information on dangerous products, employees' rights, immigration law and many other legal topics. The information is also available in Spanish via the FindLaw en Español site. Have you ever wished you were a TV star and frequent host of SNL? Maybe going to law school is better than that (and not just because you weren't discovered as a great actor). Alec Baldwin recently said he wishes he'd become a lawyer. Addressing law students on the eve of their graduation, he said: “If I had it to do all over again, I would choose differently….I believe that I would trade what I have for what you’ll have tomorrow afternoon." 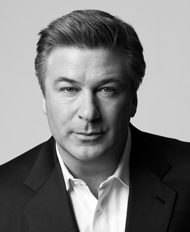 Alec Baldwin: Legal Envy, Harvard Magazine, July-Aug. 2011. He told the graduates, "I want you to leave here and save this country, because this country needs your help." Id. Id. A few weeks after this speech, he had apparently forgotten the dream of practicing law in favor of singing in a Broadway show. The One Unfulfilled Wish of My Career, AlecBaldwin.com, June 20, 2011. The Naval Postgraduate School Center for Homeland Defense and Security offers non-credit, self-study courses online. These courses are developed by the NPS CHDS teaching faculty and are derived from course content (lecture material and course readings) from the Center's homeland security master's degree curriculum. Who is eligible to access these courses? Only government officials, members of the military, homeland security educators, students in homeland security programs, and other specially qualified individuals. However, anyone may access the lectures on research methods on the CHDS's Educational Resources page. The "Terrorist Financing and State Response" course is the newest, examining "exactly how far we have come in understanding how terrorists raise, store and transfer funds. It also evaluates and challenges the U.S. government and international community in responding to this problem." See the Center for Homeland Defense and Security site for more information about the courses and to request access. The Uniform Law Commission is currently holding its 2011 annual meeting in Vail, CO. Among the new uniform laws being considered is the Uniform Electronic Legal Material Act, which purports to provide a clear answer to the question of who is the official publisher of a given governmental record, and how official publishers can authenticate the fact that a given electronic record is, in fact, the official record for citation and other purposes. A draft version of the Act is available here. The Uniform Law Commission (ULC), in existence since 1892, is responsible for the drafting and passage of more than 200 uniform acts designed to solve problems common to all the states. Some examples are the Uniform Commercial Code, the Uniform Probate Code, and the Uniform Partnership Act. Just who are these ULC commissioners? They are 350 practicing lawyers, governmental lawyers, judges, law professors, and lawyer-legislators from every state, the District of Columbia, Puerto Rico and the U.S. Virgin Islands. Washington has six commissioners and are listed by state here. The Center for Computer-Assisted Legal Instruction (CALI) is hosting a webinar on new features compatible with iPads, iPhones, and other mobile devices on July 12. Law students enjoy free access to hundreds of lessons on a wide variety of topics, from administrative law to wills and trusts. UW Law students who have not registered with CALI yest should contact the Reference Office for the student access code. On July 16, LexisNexis will host a webcast on "how to find a unique topic," ensuring that your subject has not been preempted by someone else. Register online for Finding an Original Note Topic and Preemption Checking. You might also find useful the Gallagher guide on Writing for & Publishing in Law Reviews, which also offers advice on finding interesting topics. 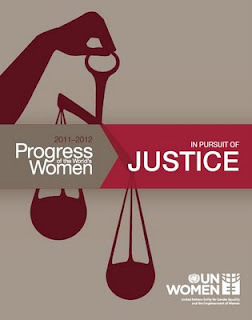 The United Nations Entity for Gender Equality and the Empowerment of Women has released its first report, In Pursuit of Justice: Progress of the World's Women 2011-2012 (PDF, 168 pages). The report addresses many topics, including women's access to justice and cases and laws that have changed women's lives. Graphs, charts, and personal stories supplement the text. An executive summary is also available. 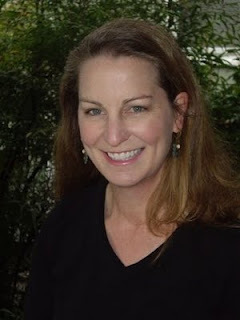 Professor Sallie Sanford comments on Thomas More Law Center v. Obama, No. 10-2388 (6th Cir. June 29, 2011), the recent case upholding against a Commerce Clause challenge the Affordable Care Act's requirement that individuals have health insurance. Sallie Sanford, The Impact of a "Middle-Management" Health Care Ruling, Jurist—Forum, July 5, 2011. The three-judge panel issued three opinions. The opinion by Judge Jeffrey S. Sutton was the opinion of the court on one issue (the taxing power) and a concurrence on other issues. Sanford explains that this opinion is significant both because it is so well crafted and because the judge is "a highly respected jurist with solid conservative credentials." Appointed to the bench by President George W. Bush, Judge Sutton is the first Repbulican to uphold the individual mandate. Prof. Sanford both guides us through this decision and places it in the larger context of the other challenges to the new law.